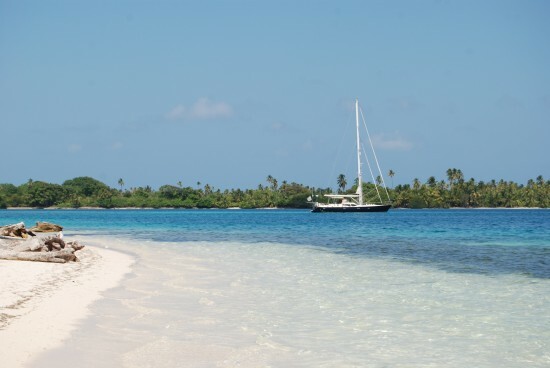 I received an email last night at seven to say that my crazy crew had arrived safely, and had dropped anchor in a lovely part of the San Blas, known as “the swimming pool” (because the water there is as clear as crystal and the color of a swimming pool). Sadly the Internet signal in the San Blas is very weak so I will not have too much to report until they move on, which may be a few days. Hey dude. what kind of wordpress theme are you using? i want it to use on my blog too ….